The aim of this report is to provide a summary of a seminar organised on 5 October 2012 as part of the Belly Laughs Belfast International Comedy Festival. The festival has been in operation since February 2011 and is a charity, constituted as a Limited Company by Guarantee. Its main activity is the organisation of an annual comedy festival. Not restricted to stand-up comedy, the festival programme includes poetry, magic, cabaret, workshops, seminars, club nights, book readings and events for children … in fact, anything with a humorous angle. It may be surprising to some that a comedy festival organised, as a specific strand, a seminar programme, and that one of its events should be devoted to examining the connection between comedy and conflict in Northern Ireland. But as festival director, Peter O’Neill, stated at the seminar, just like many other regions, comedy has the potential to contribute to the escalation or reduction of conflict and is a subject worth examining particularly for a comedy festival set in Belfast. 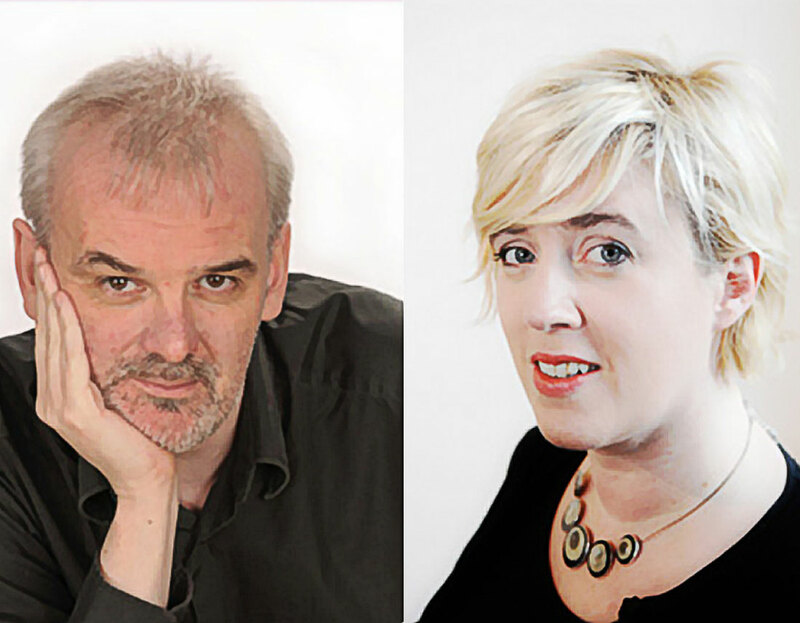 In order to examine the relationship between comedy and conflict in our local setting, a panel of speakers including Tim McGarry, Fionola Meredith and Duncan Morrow examined whether Northern Ireland, and in particular Belfast, has a unique ‘dark’ comedy tradition largely because of the conflict and how humour can be used to facilitate dialogue and challenge prejudice. The seminar considered the role of comedy in addressing difference and conflict in Northern Ireland with the aim of encouraging and enabling individuals and groups to challenge their own stereotypes and those of other communities in order to acknowledge and address difference. The international research literature highlights how humour can play an important role in conflict contexts, in fostering connections, helping groups cope with the effects of conflict, and ensuring individuals and groups ‘do not take themselves too seriously’. It is widely accepted that encouraging people to laugh at themselves is often the most effective (and safest) way to tackle prejudice. Using humour can provide a degree of safety for expressing difficult ideas or opinions which could be particularly effective in the Northern Irish context. Similar to the benefits of using theatre or role playing as a safe space to experiment with different perspectives on conflict, the use of humour can allow a person or group to always claim that they are “just joking” (Swart, 2009) if sensitive topics are being explored. Comedy is by no means a panacea for resolving conflicts, however, the organisers of the seminar believe that it can play a positive role in conflict transformation and is worthy of additional exploration. As a member of the audience commented after watching the Israeli-Palestinian Comedy Tour perform in Israel, “Comedy can lighten up dialogue between people who otherwise would not be able to speak in the same way” (Audience 2007). The seminar considered the role of comedy in challenging prejudice; encouraging and enabling attendees to challenge not only their own stereotypes, but also those of other communities, in order to acknowledge and address difference. Feedback from the event was collated through an evaluation form which confirms that the event was a great success and met its objective of assisting attendees to gain an enhanced understanding of the role of comedy in conflict transformation. (See appendix 1 for a copy of the evaluation form and appendix 2 for a summary of the evaluation returns, kindly analysed by Caroline Wilson). Approximately 76 individuals attended the seminar and received presentations from four speakers who covered a broad range of perspectives of how comedy can assist in peace making and conflict transformation. Unfortunately only 12 evaluations forms were completed by participants, representing 16% of the audience. Respondents reported that that the event was funny, relevant, interesting and thought provoking. When asked How well did the discussion address the issue of difference and conflict? (on a scale of 5 = very well; 1 = not at all), a median score of 4.58 was achieved, suggesting that attendees believed that the event was successful in its achieving its main aim. No improvements for the organisation of the event were suggested and the venue was rated highly with a median score of 4.5. Five males and seven females completed evaluation forms. Six described their nationality as Northern Irish, 3 as British, 3 individuals stated they were Irish, Australian or French. A lively question and answer session took place and over 10 questions from the audience were addressed by the panel with a number of views expressed congratulating the festival organisers for programming the seminar and asking if another, more expansive event could be organised in the near future. Whether Northern Ireland, and in particular, Belfast, has a unique ‘dark’, sardonic comedy tradition as a result of the conflict? Is it distinctive from comic traditions found in other regions coming out of conflict? Can comedy/humour be used to facilitate dialogue and challenge prejudice? Are there examples of comedians or expressions of humour that have resulted directly in some type of ‘good relations’ intervention or behavioural change in a conflict context? When might humour or some expressions of humour be inappropriate and backfire, causing more harm than good? Can comedians or other types of humour-based actors be used within peace building effectively? How can humour be more effectively integrated into the work of good relations practitioners? The general consensus at the event was that, although comedy is not a panacea for resolving conflicts, it can nevertheless play a positive role in facilitating dialogue on contentious issues and helping us laugh at ourselves. We would like to thank our speakers for contributing so effectively to the event; the Linen Hall Library for hosting the seminar and CRC for generously supporting it. The event was also commended for including excerpts from Tim McGarry’s DVD ‘History of the Troubles’ which injected a comic element to the proceedings. As one participant noted, even in the darkest moments of the troubles, it was still possible to find a degree of relief in the humour and natural wit of those most affected by the conflict. Quoted in Dixon. Stephen and Falvey, Deirdre (2009). “The Gift of the Gag – the Explosion in Irish Comedy”. Blackstaff Press, Belfast. p220. Dixon. Stephen and Falvey, Deirdre (2009). “The Gift of the Gag – the Explosion in Irish Comedy”. Blackstaff Press, Belfast. p220. Zelizer, Craig (2010). “Laughing our Way to Peace or War: Humour and Peacebuilding”.Journal of Conflictology. Vol. 1, Iss. 2. Campus for Peace, UOC.